The Pionniers (pioneers) are the combat engineers and a traditional unit of the French Foreign Legion. The sapeurs of the Legion traditionally sport large beards, wear leather aprons and gloves and hold axes. Military tradition is the specific set of practices associated with the military or soldiers in general. The concept may describe the styles of military uniform, drill, or even the music of a military unit. In the United States, military tradition is a general term, that can refer to simply a father-son relationship or a much longer, ancestors-long line (which is the normal meaning). It is often described that the Southern United States as a whole have a military tradition, which is represented in the much higher representation of Southerners in the U.S. Military today and throughout the nation's history. In Europe, military tradition was a principle of the military that evolved out of the Middle Ages' concept of chivalry. Within Europe, various military traditions developed. In England, military tradition was carried on in regimental lines, with each regiment tracing its own history back. Today with reforms in the British Army many believe that British military traditions are destroyed. A French zouave from 1888 in the distinctive campaign uniform worn in North Africa. His trousers would normally be red. In Prussia and the German Empire, states relied on their own history as a state rather than as a regiment, while some specific regiments within elite formations did maintaining unit histories. For example, one regiment, the Potsdam Grenadiers, consisted of extremely tall men. The French created the concept of Esprit de Corps, or pride in ones unit, within most elite or unique French units. 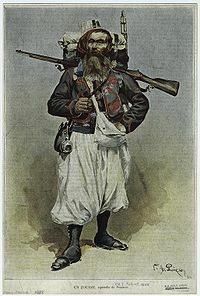 North African units like the Zouaves, the Turcos, the French Foreign Legion, or even the Mamelukes which served in Napoleon Bonaparte's Imperial Guard developed distinctive styles of dress which developed this. Many of these distinctive styles were later adopted by the French Metropolitan Army during the nineteenth century. 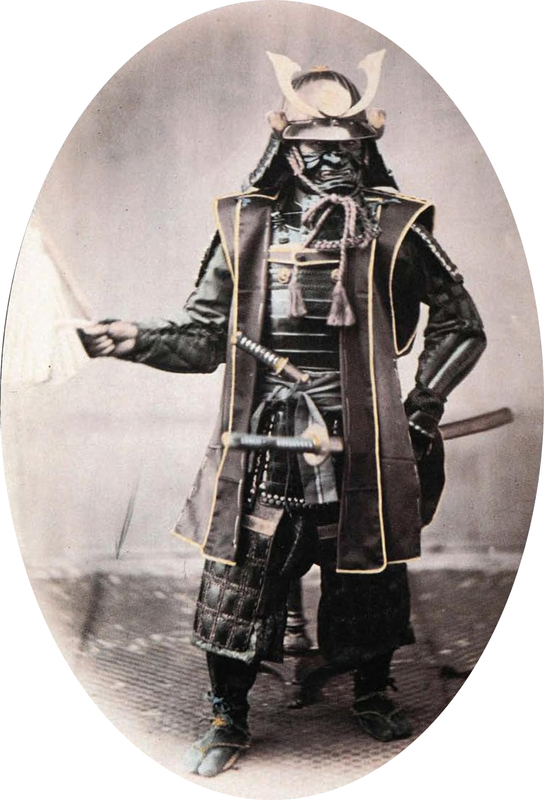 In Japan, most military tradition was based on the bushido code. Bushido, translated as 'way of the warrior' in English, was the strict code of military discipline adhered to by Samurai warriors. Military Tradition is used in the strategy game Sid Meier's Civilization III, released by Atari, as a technological advance that allows the building of cavalry units. Military Tradition is a game concept in strategy game Europa Universalis III released by Swedish PC strategy game designer, Paradox Interactive. In the game player-controlled faction can accumulate Military Tradition by engaging in land battle. A higher Military Tradition value results in the ability to recruit generals and conquistadors of better quality. Distinct elements of a military culture are also present in many fictional publications. These are often used as an important element in shaping fictional culture by authors.